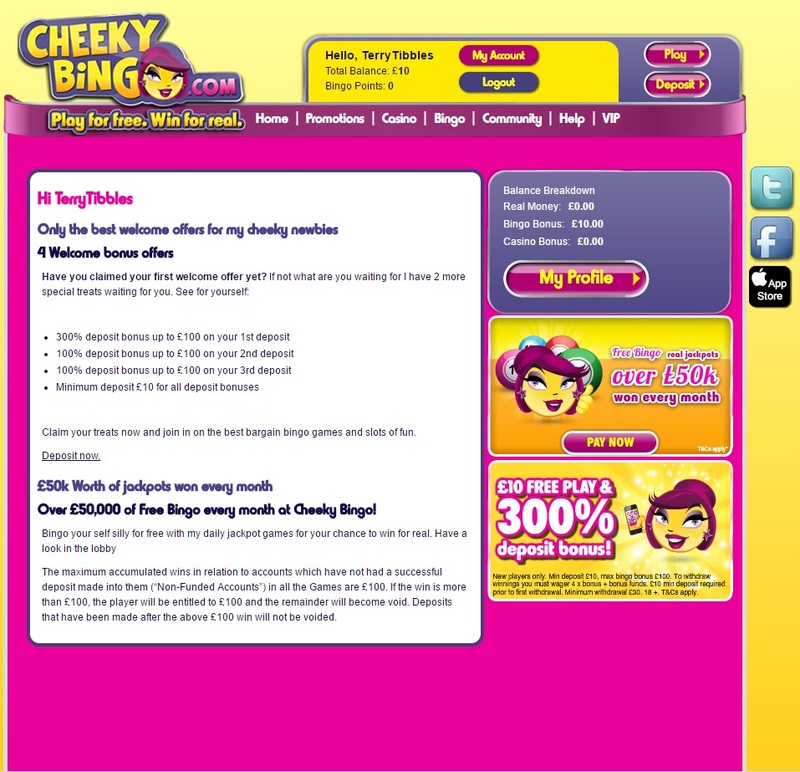 Cheeky Bingo has been operating since 2009, however, had a complete overhaul and makeover in 2011. With the addition of hundreds of games, a new mascot, and a bright yellow design intended to entice people in with a friendly happy attitude. When making an account with Cheeky Bingo, you can choose to be a free user and play free games all over the site, or you can deposit some funds. It is possible to deposit £5 on Cheeky Bingo, however, if you deposit £10 you will receive £30 to play online with. A lot of Bingo sites skim over the amazing opportunity new player bonuses have, however, Cheeky grab the attention of thousands of new users each and every year. When making an account with Cheeky Bingo, you can choose to be a free user and play free games all over the site, or you can deposit some funds. It is possible to deposit £5 on Cheeky Bingo, however, if you deposit £10 you will receive £30 to play online with. A lot of Bingo sites skim over the amazing opportunism new player bonuses have, however, Cheeky grab the attention of thousands of new users each and every year. Once you have deposited for the first time with Cheeky Bingo, you will also receive a 100% bonus on both your second and third deposit as well. 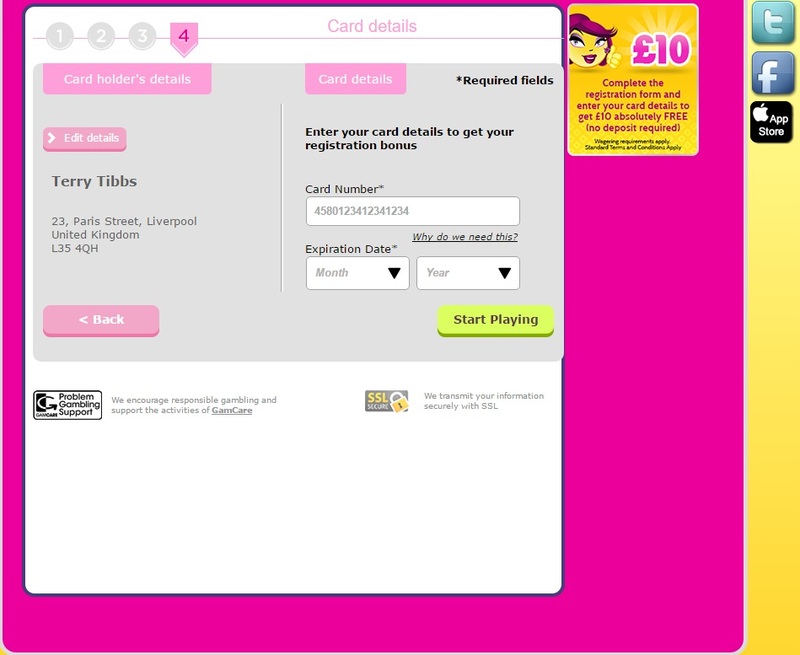 This means an extra £10 when you deposit £10 or more on your second and third time depositing with Cheeky Bingo online. Cheeky Bingo also has a loyalty scheme for players, which means that the more you deposit, the closer you are to joining Cheeky VIP. 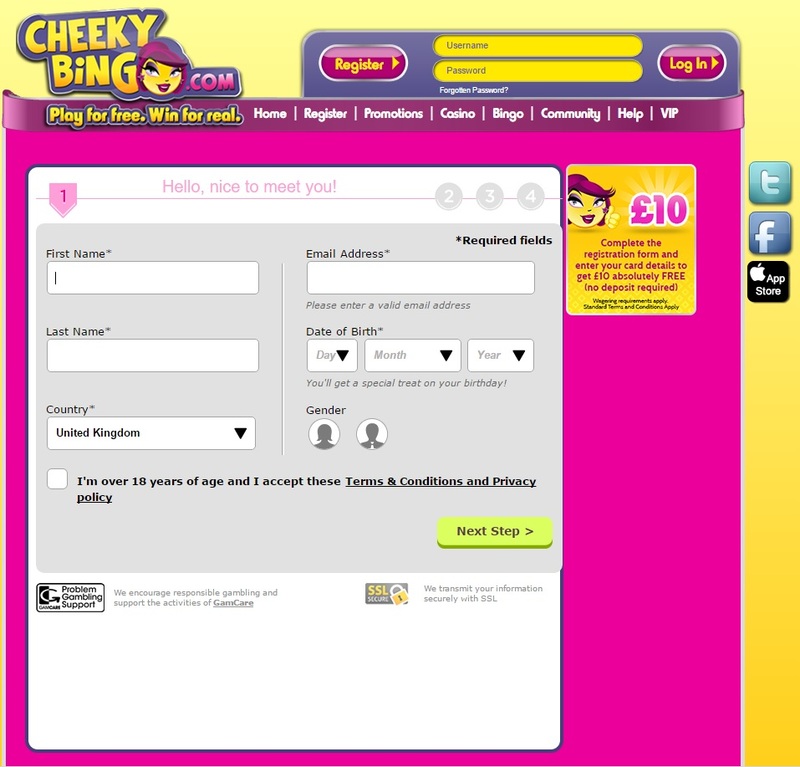 You can only be invited to join Cheeky Bingo VIP, and this will be done via email. Being a VIP member with Cheeky means that you are invited to special events, get selected to compete in amazing tournaments, and receive bigger and better bonuses. You can find a list of events with Cheeky Bingo here. Cheeky’s Christmas Carol: Spin the slot for as little as 10p and win up to £1000 per game! Chat Games: Be in with a chance of winning each day with Chat game. Asked by mods, users can be in with a chance of winning up to £100 each day. This is also a great opportunity to make friends with other bingo savvy users. Cheeky Mobile: Win up to £500 every Monday by playing any bingo game on the Cheeky Bingo app, found in the app store on both apple and android products. Below are screengrabs of the registration process with Cheeky Bingo. You will need to enter your name, email address, date of birth, address, and your card details in this section. You will not have to make a deposit here, but to receive your free £10 to play, you will need to enter your details. As you can see, when you register with Cheeky Bingo, your account will be credited with £10 for free. Once you deposit £10, you will receive £30 to play with, and then £10 extra to play with for two more occasions when you deposit with the bingo site. When playing Cheeky Bingo, simply choose the game you wish to play and enter the lobby. You can then purchase your tickets and wait for the next game to start. Whilst you’re waiting, you can chat to other players in the chat box, which can be seen to the right of the screengrab above. Choose between a range of 75 and 90 ball bingo games, with tickets costing as little as 10p. If you would like to play a range of slot games, you can also play these by finding the slots tab in your lobby room. Sit back and wait for the numbers to be called out! Your numbers will be automatically ticked off for you. When making an account with Cheeky Bingo, you can choose to be a free user and play free games all over the site, or you can deposit some funds. It is possible to deposit £5 on Cheeky Bingo, however, if you deposit £10 you will receive £30 to play online with. If you wish to withdraw money from your Cheeky Bingo account, you can only take £30 or more. The process of withdrawing money can take up to 48 hours, however, many users have expressed positive reviews about how quickly money has been credited into their accounts. 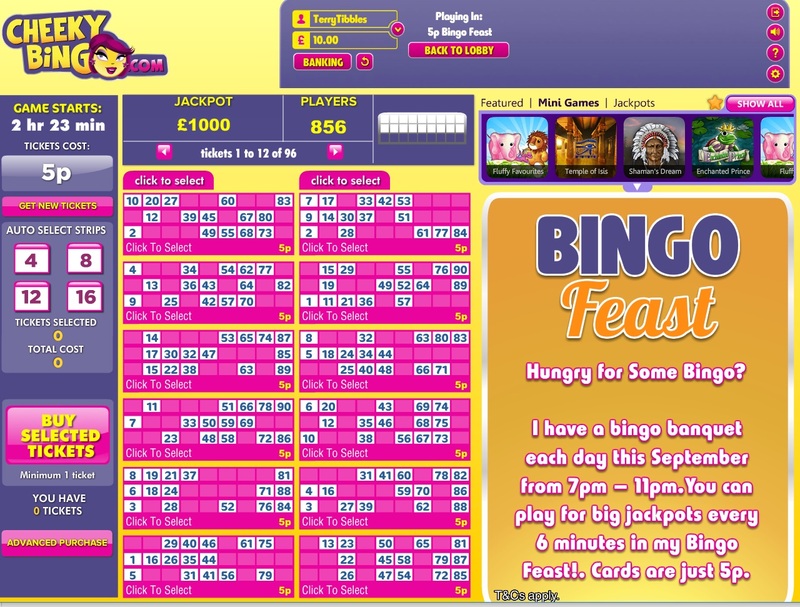 There are a number of other games available from Cheeky Bingo, such as slot and casino games. 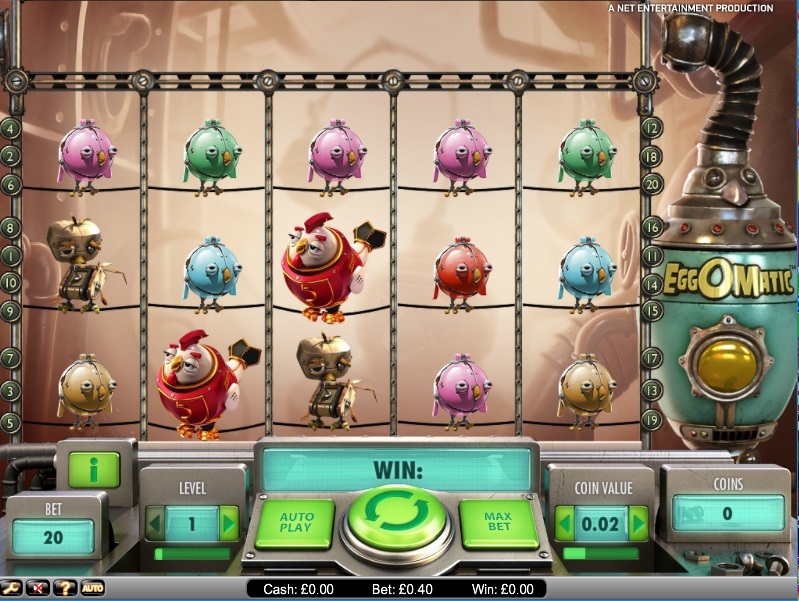 An example of slot games from on Cheeky Bingo can be found below. 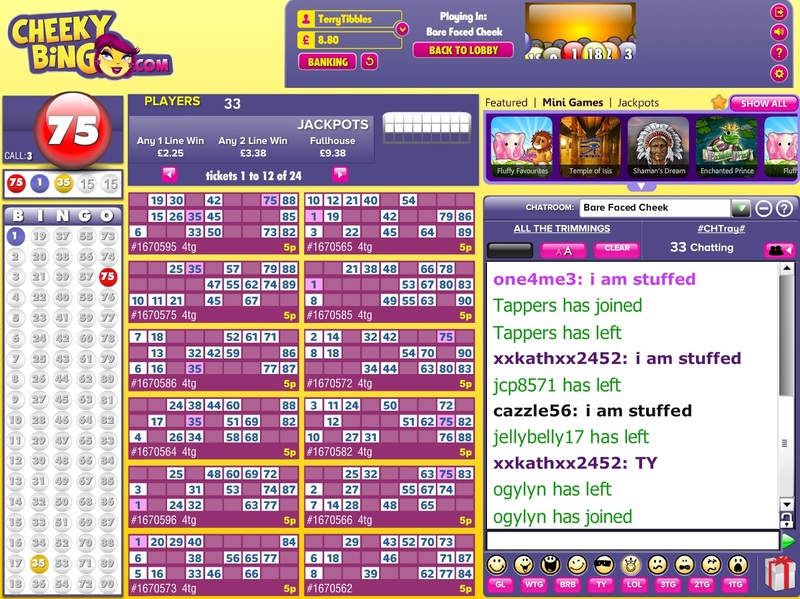 You can also find games within chat, which means that you can literally win money all over the site. Browse the hundreds of games on the site by using both the search bar and browse tabs. If you need urgent help with a game you are playing, or about your winnings, Cheeky Bingo has a multitude of social media platforms that are manned at all times. You can tweet their Twitter account, where a member of staff will aim to reply to you by the following day.